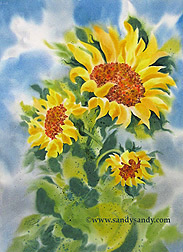 My Summer Sketching Series, 2011, is now into the second month. I am trying to expand my audience by delving a little deeper into composition and design. Our current weekly sketching challenge involves using a bit more insight and creativity. Participants will be encouraged to sketch flowers and make a pleasing composition using the Momma, Poppa, Baby Theory and the Rule of Thirds. 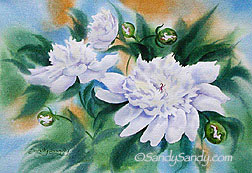 Here are some of my flower paintings from my archives to help demonstrate what I'm looking for. 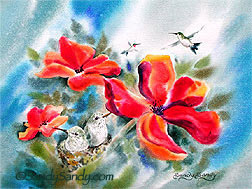 thank you so much for sharing your secrets to such successfully superb paintings. I especially am blown away with those peonies! Amazing! You've been busy!!! 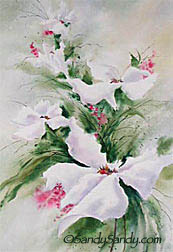 Wonderful flower paintings. Hey there girlfriends . . . You keep me going here. Thanks so much for your continued interest and support. I really really appreciate your comments and your kindness!! My "Working Toes" Are Famous!